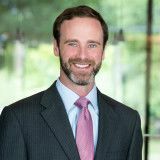 Justia Lawyer Directory Search for "STEPHEN R HUNT, JR"
Search for "STEPHEN R HUNT, JR"
It was while growing up in Birmingham, Alabama, that Hunt was inspired to become an attorney by the influence of a mentor worthy of respect. Retired Judge H.W. “Bucky” McMillan coached Hunt’s youth basketball team, and Hunt, who admired the Judge’s fair demeanor, believed that trait must have developed from the Judge’s practice of law.